The 2013 History Matters lecture series kicked off on January 31st, when migration historian William Jenkins (York University) gave a talk to a crowded room at the Parliament branch of the Toronto Public Library. 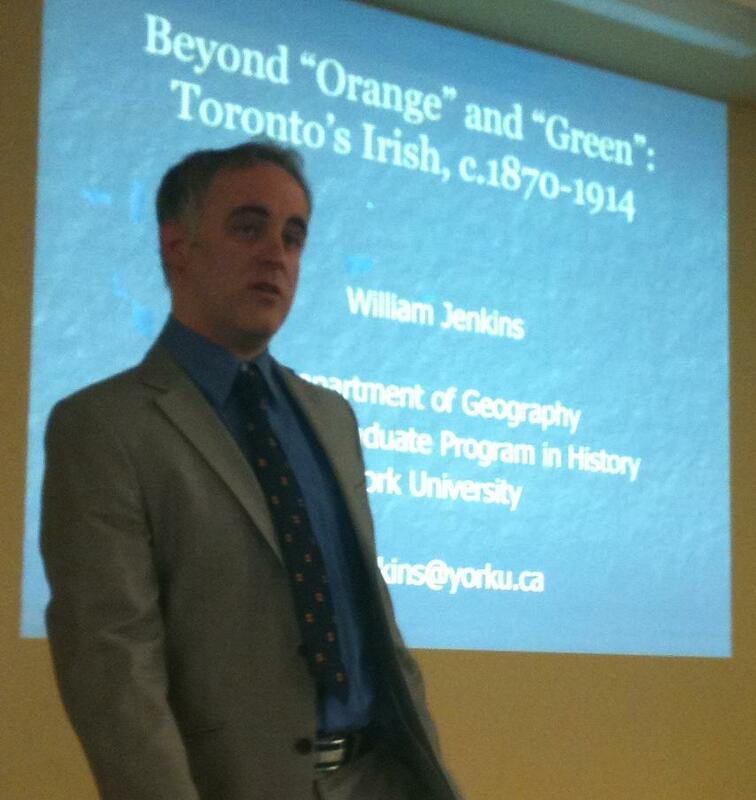 His presentation examined immigration patterns and political allegiances of Toronto’s Irish between 1870 and World War I, and how struggles at home and abroad had an impact on the Catholic and Protestant Irish communities in the city. Jenkin’s talk was based on research for his upcoming book, Between Raid and Rebellion: The Irish in Buffalo and Toronto, 1867-1916, which will be published this spring by McGill-Queen’s University Press. Click here to listen to a podcast of the talk. The next talk in the 2013 History Matters series takes place at the Dufferin/St. Clair Branch of the Toronto Public Library on February 28th from 6:30-8pm. Award-winning migration, labour, and gender historian Dr. Franca Iacovetta (University of Toronto) will explore the International Institute Movement’s use of public spectacle and pageantry to promote cultural pluralism in a pre-multicultural Toronto. Click here for more information on this and other talks in the series.